My little piece of the internet got a big makeover this week! What do you think?!? It’s AMAZING right!?! Megan from A Bird in Hand Designs did a FABULOUS job creating exactly what I wanted. I couldn’t be more happier with how it turned out. Thank you Megan for working your magic! Visit her blog to see all of her amazing designs. To celebrate, I am having a little GIVEAWAY! 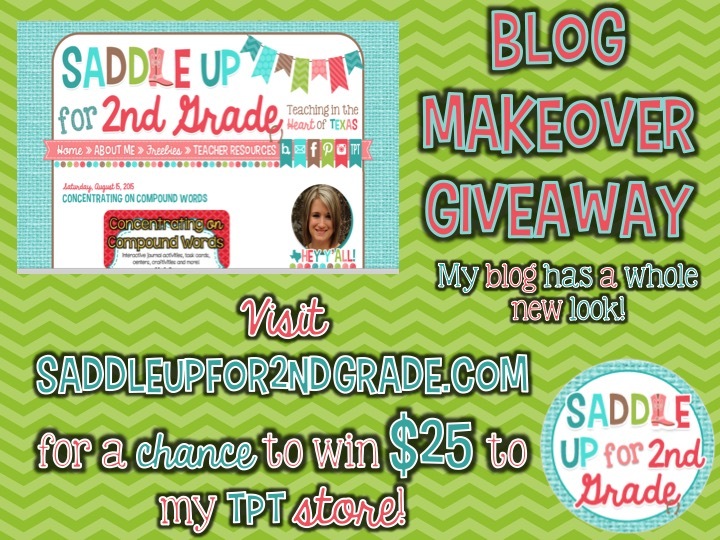 In honor of my new look and B2S, one lucky winner will win $25 to spend in my TPT store! All you have to do is enter with the rafflecopter below! I’ll choose the winner on Monday, August 24th! Good luck!